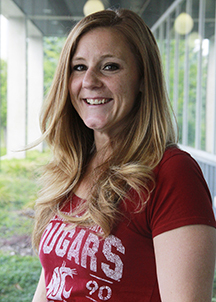 Jacquelyn Banasik has been a Family Nurse Practitioner for 20 years and maintains a clinical practice through Frontier Behavioral Health. 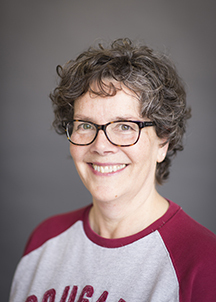 Dr. Banasik has been at the WSU College of Nursing since 1983 with teaching and advising responsibilities in the graduate and undergraduate programs. She teaches advanced physiology, undergraduate pathophysiology and pharmacology. She recently published the 5th edition of a widely used pathophysiology textbook. Dr. Banasik’s research interests are in the field of cell communication and dysregulation. She has a particular interest in the role that cytokines and hormones play in neural, hormonal and immune dysfunction, Alzheimer disease and addiction. Copstead L & Banasik J. (2013) Pathophysiology 5th edition, St. Louis, W. B Saunders. Banasik J., Walker M., Randall J., Netjes R., Foutz M. (2013). The effect of diet-induced weight loss on measures of visceral adiposity, stress hormones, adipokines and insulin resistance in obese persons with a family history of type-2 diabetes. Journal of American Academy of Nurse Practitioners. Banasik J., Williams H., Haberman M., Blank S., Bendel R. (2011). Effect of Iyengar yoga practice on fatigue and diurnal salivary cortisol concentration in breast cancer survivors. Journal of American Academy of Nurse Practitioners. 2011 Mar;23(3):135-42.